Bolsonaro: The Messias has arrived, but there is no salvation. Last October, Jair Messias Bolsonaro, labelled by international social media as ‘the tropical Trump’, was elected in Brazil with 55% of votes. What does this election mean for the world, and why all Brazilian environmentalists are so worried? Coming from a lineage of Germans and Italians, Bolsonaro was elected thanks to fake news that spread quickly and efficiently in Brazil, with supporters making use of pseudoscientific tools. With disinformation out of control, the president and his team further confuse constituents with constant contradictions in their policies and positions. Another strategy of his campaign was to mobilize the Bolsominions, people supporting his election, to criticize the candidate’s opponents. During his campaign, Bolsonaro announced that he indeed intends to follow Donald Trump in withdrawing the country from the Paris Agreement. Even if he does not, his campaign promises could have dire several consequences for the Amazon, and therefore for the rest of the planet. Extending for more than 5 million km, mostly in Brazil, the Amazon acts as a giant drain for the carbon dioxide emissions that the world produces. Bolsonaro has announced several measures that will open the Amazon to deforestation. The forest, which has already had 20% of its vegetation cover destroyed, is dangerously close to the turning point (25% deforested). If that happens, the world’s largest rainforest will become a region with sparse vegetation and low biodiversity. And the fight against climate change will become impossible. Bolsonaro’s policy of climate denial – encouraged by Trump’s example – puts the planet at high risk, given the short time we have to change society globally in order to keep global warming below 1.5oC, as set out in the Intergovernmental Panel on Climate Change’s report. On top of that, Bolsonaro supports policies that are of great concern to the scientific community, including the merger of agriculture and environmental ministries, with a minister “suggested by agribusiness producers”. He also affirmed, whilst saluting the stars and stripes of the American flag that “the Amazon is not ours and we must allow other countries to explore it”, proposing a partnership with the United States to “develop it”. Almost certainly, the next annual figures on deforestation will show an increase compared to the previous period. A recent survey by the Climate Observatory with information from the National Institute for Spatial Research (INPE) Deter B system indicated a 36% deforestation growth from June to September, the electoral period, which the organization considered to be a “Bolsonaro effect“. If even the possibility of being elected is seen as authorization to clear forests, those who protect it are in even more danger. Several cases of violence against peasant leaders and settlers occurred in the Amazon during this election. Brazil is already the most lethal country for environmental advocates. With Bolsonaro, such conflicts will explode. Bolsonaro fails to present effective measures to enable science in Brazil. According to the candidate, universities and science must line up behind entrepreneurs and companies. He says that “science will not be a priority in his government”, which probably means that there will be more budget cuts. Diverse scientific studies have already demonstrated that forest reserves controlled by native populations are the best defences against deforestation. Bolsonaro, however, sees other uses for forests. He rejects the idea of reserving forests for Brazilian indigenous peoples, who have lived in the Amazon for centuries, promising that “there will not be a square centimeter demarcated as an indigenous reserve”. He compared indigenous reserves to zoos, and defended population control, saying that he would authorize the military police to kill minorities. He plans to end what he calls the “land granting industry” and the logic of these pronouncements is that indigenous lands are lands to be traded by the capital. “Where there is indigenous land there is wealth beneath it,” he pronounced. During his campaign, he stated that “Brazil cannot bear to have more than 50% of the territory demarcated as indigenous lands, as areas of environmental protection, such as national parks. It disrupts development”. He also promises to open up existing indigenous reserves to mining. In Brazil, a certain section of agribusiness is linked with land grabbing and is represented in the Congress by what is called the “bull bench”. 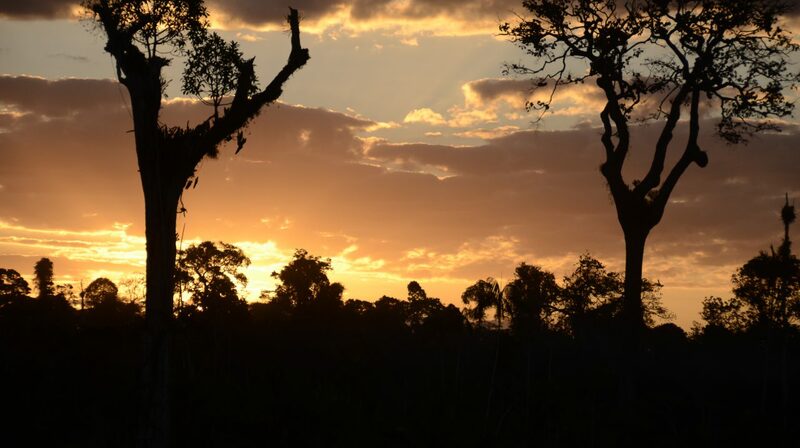 This front, which brings together parliamentarians from different conservative parties, has acted strongly in recent years to advance on the protected areas of the Amazon. They want to transform indigenous lands and conservation areas, today the main barriers against the devastation of the forest, into land for grazing cattle, soy plantations and mining. Bolsonaro’s campaign also suggested that he will reduce the penalties against those who violate environmental laws, which he refers to as the “fines industry”. To merge the ministries of agriculture and the environment, so as to reduce the bureaucracy faced by farmers, will only facilitate the emptying of the functions of environmental bodies, such as the Brazilian Institute of Environment and Renewable Natural Resources (IBAMA) and the Chico Mendes Institute for Biodiversity Conservation (ICMBio), resulting in unprecedented violation of the entire National Environmental System . The Ministry of the Environment (MMA) and its bodies play a central role in the implementation of environmental policies; these are not limited to those affecting agriculture, and include the preservation of Brazilian biomes, the protection of biodiversity and the fight against biopiracy, combating illegal deforestation and other environmental crimes. In addition, MMA defines and enforces protected areas, the various types of pollution and solid waste, manages water resources, analyses the sustainability of environmental impacts and combats climate change. The weakening of such a key environmental institution would be nothing short of catastrophic. There is a desire to weaken the environmental licensing legislation. Environmental licensing was an advance initiated in Brazil following the 1981 National Policy for the Environment, reiterated by the Federal Constitution of 1988. Its maintenance depends on the understanding that production and conservation are domains that must have distinct and independent administrative structures of each other. Enthusiastic about the dictatorship that controlled Brazil between 1964 and 1985, the ‘tropical Trump’ has stated that he will “put an end to Shiite environmental activism“. The candidate, who exalts torture, says that “minorities have to bow to the majority” or “simply disappear.” Defending the end of activism — including environmental — represents an affront to the Constitution and to democracy, which ensures the free right of expression, organization, demonstration and social mobilization in the defence of rights. This becomes even more serious due to the position occupied by Brazil as a world record holder in assassinations of environmental defenders. If, in humanitarian aspects, Bolsonaro represents the risk of a return to dictatorship, fascism, torture and the extermination of diversities, the president of the largest country in South America is also a threat to the most vital concern of this moment in history: the climate. Brazil is the sixth largest emitter of greenhouse gases, and the logic that climate change is against progress and against development will allow us to go on exploiting natural resources in unprecedented ways. One thing is certain: if we keep destroying the Amazon at current rates, without a care for its peoples and natural diversities, it won’t just be the forest stumbling into a state of no return, but the whole planet.